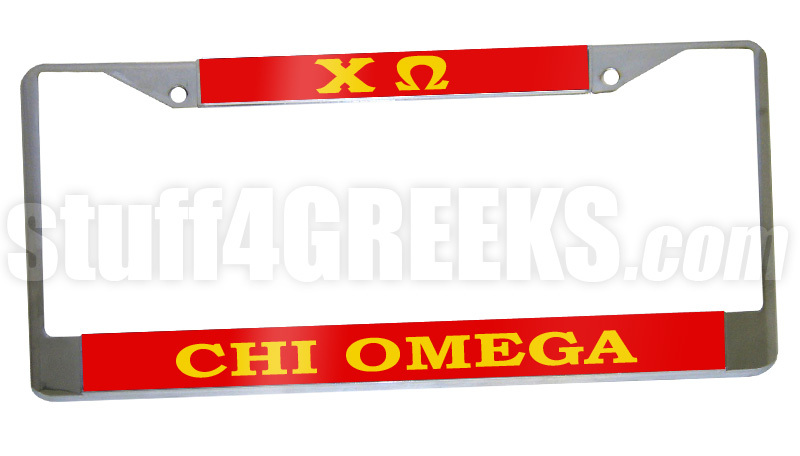 This Chi Omega car tag frames in any standard license plate with just two screws. Don't want this exact color setup? No problem, we can customize it any way you want. Click here to order a custom Greek license plate frame for your vehicle.